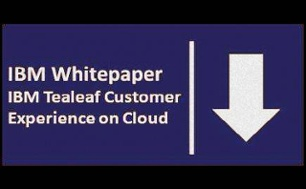 IBM Tealeaf Customer Experience on Cloud is a SaaS-based analytics solution that delivers Tealeaf core capabilities in an IBM managed cloud environment. Tealeaf captures and manages each visitor interaction on your website and mobile applications. 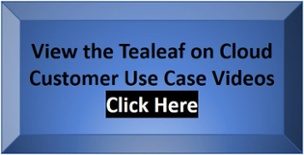 Across the organization, from e-commerce and production support to customer service and compliance, Tealeaf is a distinct product that delivers breakthrough visibility into your customers’ online experiences. It provides a large number of ready-to-use reports and dashboards that can be customized to allow your organization to more quickly realize benefits from the solution. Easy and flexible deployment option that delivers Tealeaf’s unique capabilities. With no investment in infrastructure and minimal upfront costs, this deployment option delivers a low cost of entry that results in lower total cost of ownership over time. Armed with robust analytics, Tealeaf helps you analyze and optimize customers’ experiences. Event Manager is the "heart and soul" of Tealeaf, enabling you to create highly customized events to record the data you need to understand and segment user sessions. Events are based on detailed JSON, HTML, or system data from user sessions. Dimensions are created to enable you to filter and segment sessions. Build reports based on the customized events you created, there is extensive flexibility to create a variety of reports based on different breakouts, filters, and time periods. Create different workspaces to organize your reports for different audiences or purposes. Create KPI reports to track selected metrics against specific targets. Use Process Scorecards to track conversion and abandonment of critical processes. Powerful search capability to find a single session or segment of sessions. Use active session search to provide contact center ability to support customer inquiries. Create session lists that represent segments or sub-segments of user sessions. Enables you to see session details, what events occurred and when. the root cause of an issue and why they abandoned. A powerful capability that allows you to find a collection of sessions or a particular session. Users can search by events, event values, dimension values, date/time, session ID, IP address, URL/screen view name, session attributes (any), applications profiles, and by active or non-active sessions. Provides session replay in a standard browser that shows a page-by-page replay of customer interactions on your site. Attention maps highlight what content customers spend most of their time viewing, so you can ensure that high value content is driving interaction. Accessibility overlays recommend improvements to make content more accessible. 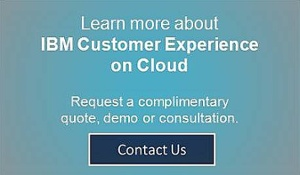 Utilizes the high-performing IBM SoftLayer® cloud infrastructure. Lowers initial hardware and infrastructure costs. Get more efficient upgrades with managed software updates and patches. Captures application interactions, device information and user context. Helps determine what content is most valuable while capturing data from individual user sessions – without using tags. Ready-to-use reports and dashboards help you customize reports to suit specific analytic demands. Helps determine the cause of customer issues. Displays graphics on touch-enabled devices.